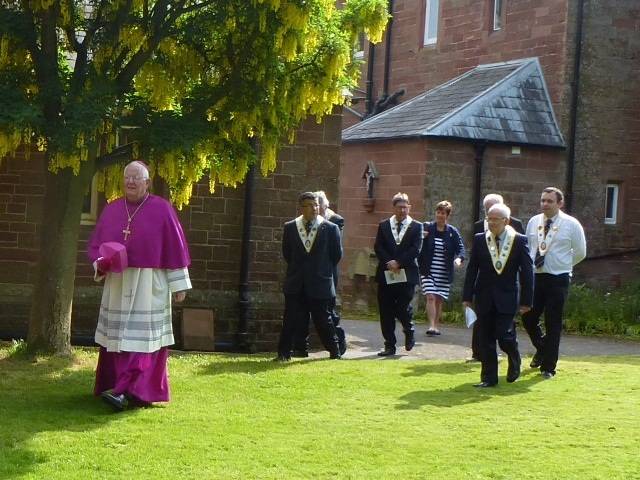 The small but old and very beautiful church of Our Lady & St. Wilfrid, Warwick Bridge, was the setting last Saturday for a Mass celebrated in the extraordinary form of the Roman rite in honour of St. Petronia (or Petronella), who was an early Roman martyr. 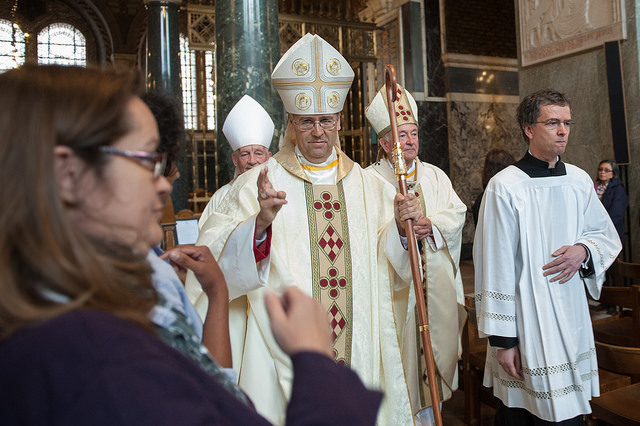 Relics of the Saint are preserved in the church, and Saturday’s celebration marked the culmination of a nine-day novena on the theme of the beatitudes. 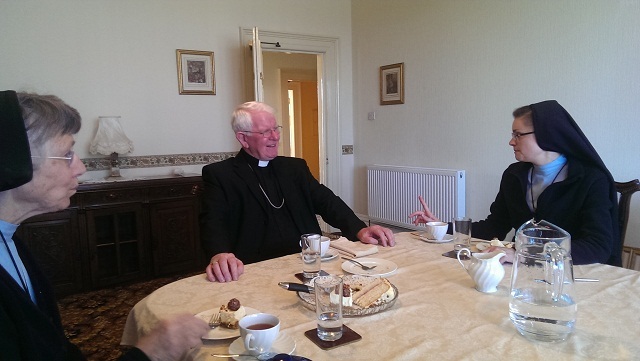 Until recent years the church and the parish was in the care of the Benedictines of Ampleforth, and perhaps that explains the sense of monastic peace (pax) which seems to pervade this hallowed spot. Today the church is in the care of the three priests of the Parish of Our Lady of Eden. 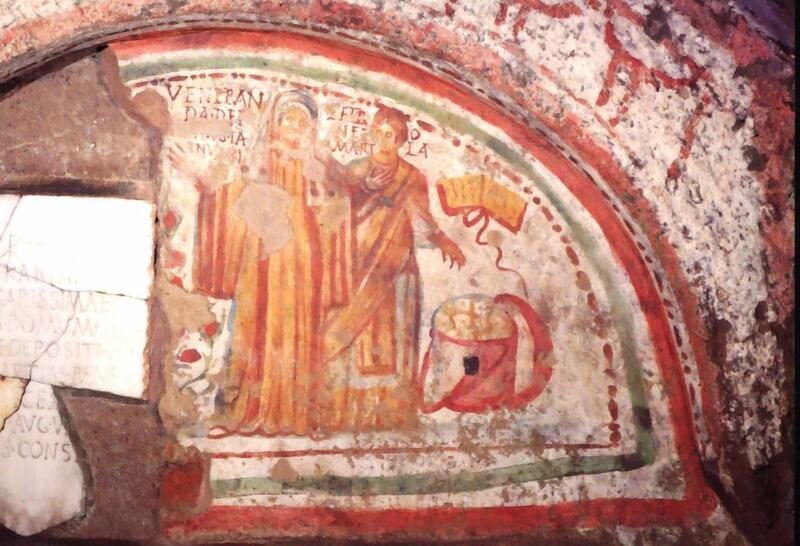 The body of St Petronia was discovered in the catacombs of Priscilla in Rome in 1841. She was found buried with a phial of blood (now turned to dust) – something commonly done when the deceased had been martyred for the Faith. The stone name-plate from her tomb was also excavated. The relics appear to have been given to Marmeduke Constable-Maxwell (the 11th Lord Herries of Terregles (1837–1908) – possibly by Servant of God, Raphael Cardinal Merry del Val. The familly then transferred them to the domestic chapel at their home, Terregles in Dumfries. In the late nineteenth century his descendants married into the Howard family at Corby Castle. 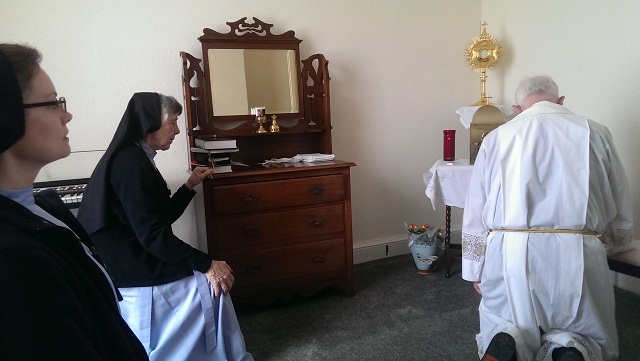 The relics were definitely at Corby by 1919 when the parish priest, Fr John Cody, OSB, carried out an investigation upon them. 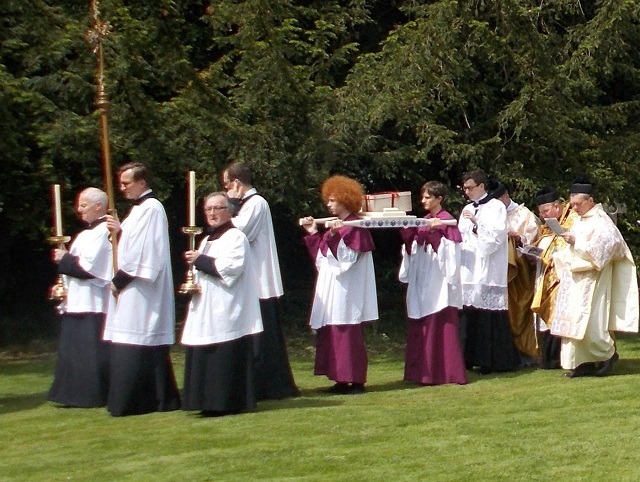 The relics were then transferred to Benedictine Sisters at Holme Eden Abbey. 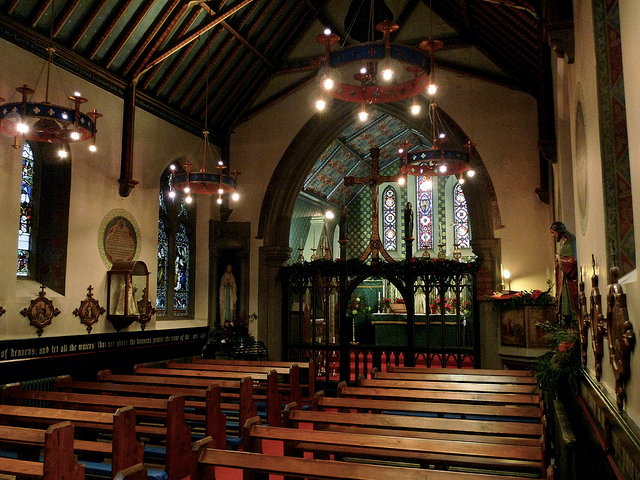 When the Abbey closed in 1983, they were given to the church at Warwick Bridge. On 25th September 1940 Thomas Edward Flynn, the second bishop of Lancaster, opened the reliquary to examine its contents. 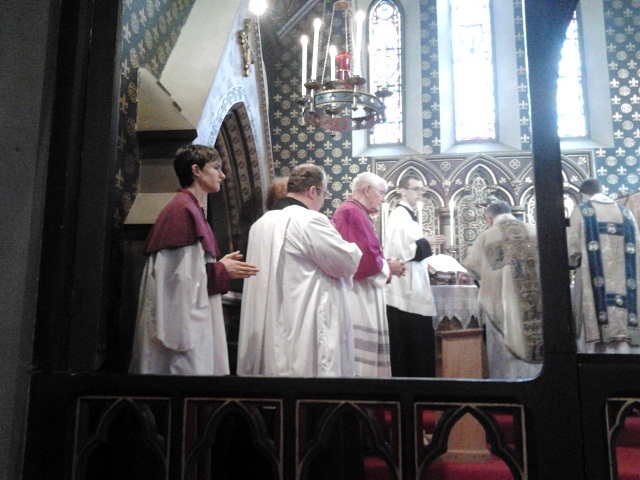 He removed three small bones to be placed in separate reliquaries, the whereabouts of which are not now known. The reliquary was then resealed. In 1991 Mgr Gregory Turner, Vicar General of the Diocese, carried out a further investigation. It was estimated that she was a girl of about ten years old. 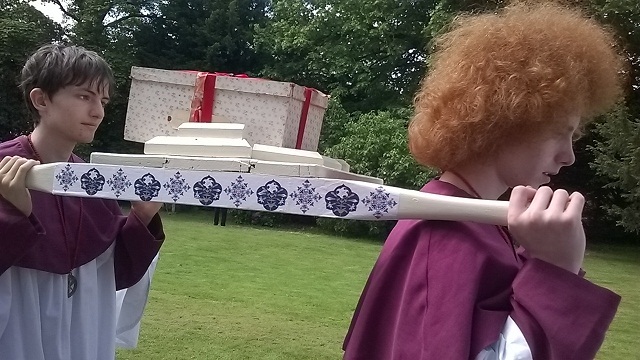 The Mass in honour of St. Petronia (here is my homily for the occasion) coincided with the lovely feast of the Visitation of Our Blessed Lady which enhanced the celebration on what was appropriately, weather-wise, an early summer sunny morning. 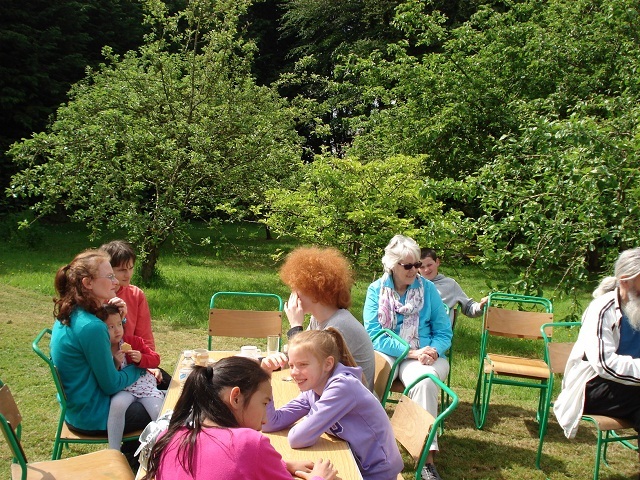 The refreshments on offer afterwards enabled the congregation to meet and chat in what can only have been a pleasant atmosphere of grace and peace in the church grounds. I mused on how the life of the Church goes on in these little communities of believers, brought together and held fast by the power of Christ’s Holy Spirit. 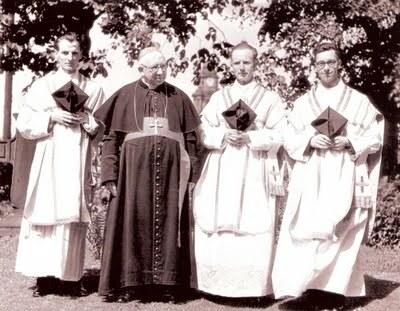 They are heirs to a long tradition of faith and loyally continue that tradition in our day. 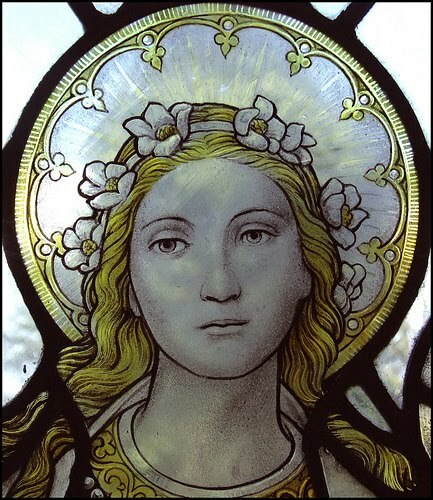 My Our Lady of Eden & St. Wilfrid, with the martyr Petronia, watch over this precious part of our Cumbrian Catholic heritage! 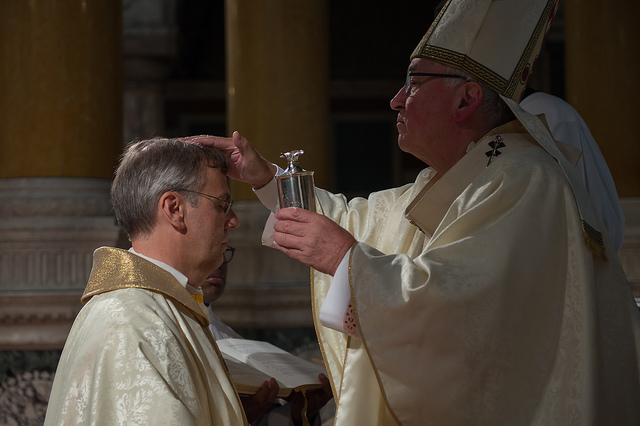 There have been a number of new Episcopal appointments recently in England, one of whom was Monsignor Nicholas Hudson, until now parish priest of Sacred Heart Parish, Wimbledon and formerly Rector of the Venerable English College Rome. 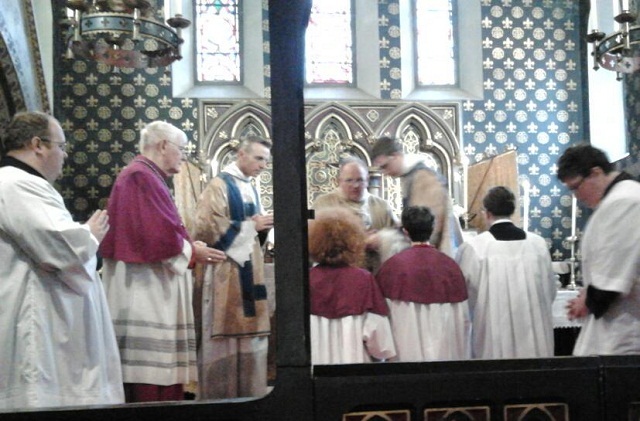 Monsignor Hudson was ordained as auxiliary bishop in Westminster on Wednesday, a Mass of ordination and so after a Diocesan Trustees meeting on Tuesday I travelled to London to concelebrate with other members of the Bishops’ Conference of England and Wales, and many priests from Westminster & Southwark, and beyond. 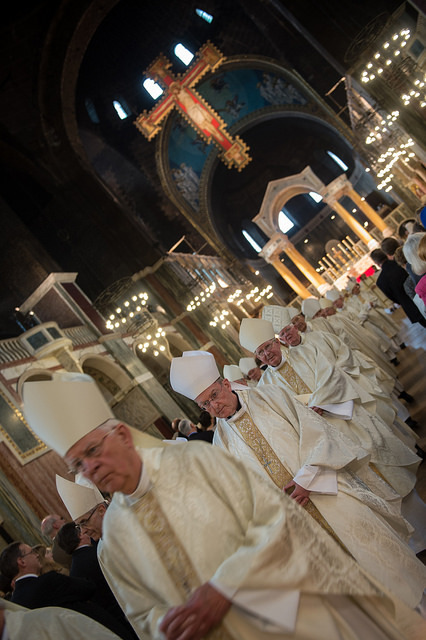 Cardinal Vincent Nichols was the chief celebrant of the Mass in the fine surroundings of Westminster Cathedral and based much of his homily of the significance and implications of the oil of chrism with which the new bishop, Monsignor Hudson, would be anointed. 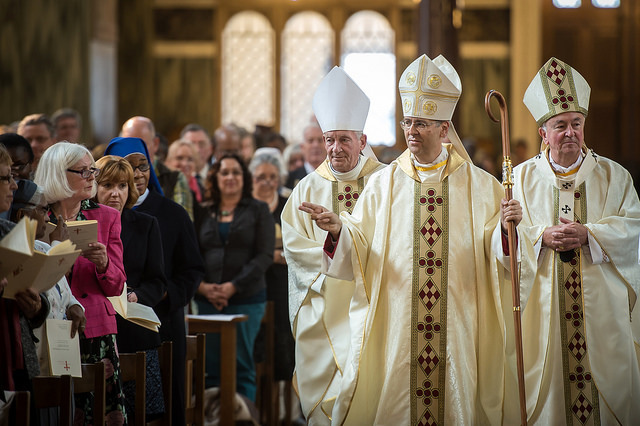 The ordination of a new bishop represents an important historical moment both for a diocese and for the Church as a whole. 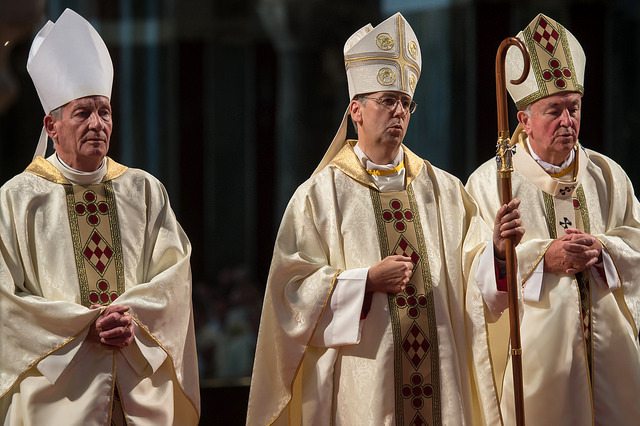 It means that a new shepherd is being charged with the care of a portion of God’s people, and to him is entrusted that ‘deposit of faith’ which has come down to us from the Apostles. He must ensure that through his ministry this faith is taught and handed on in its full integrity. 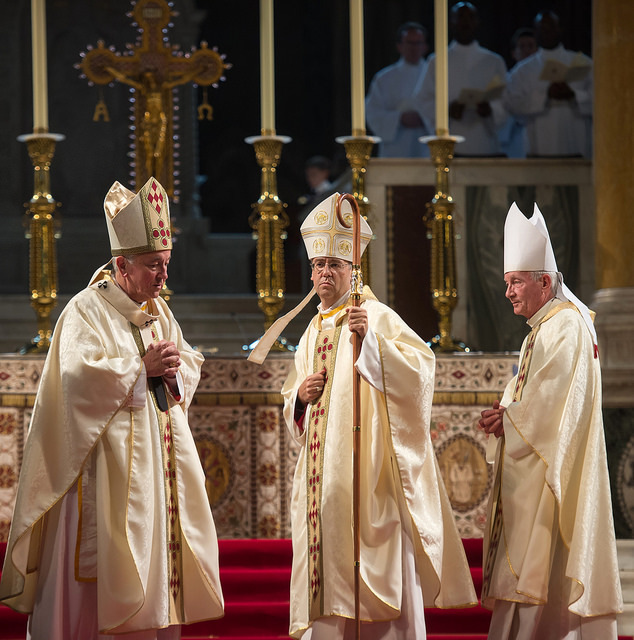 As the Cardinal noted, a new bishop represents also a gift of Christ to his Church, and he assured Bishop Hudson of a warm and generous welcome as he begins his work as an assistant bishop in the Diocese of Westminster. 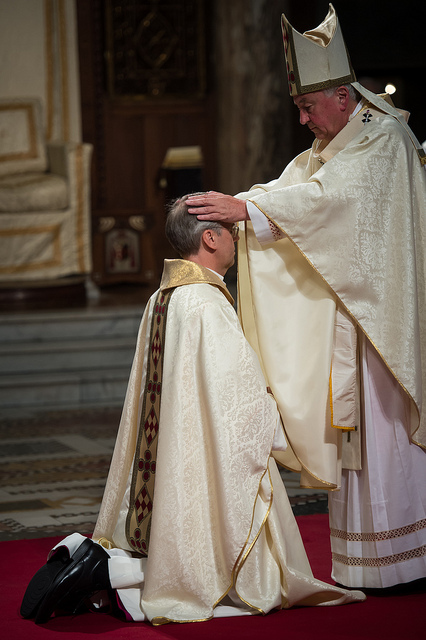 As befits such a cathedral as Westminster, the music of the ordination Mass settings was exalted and inspiring, the composer being none other than Palestrina, the great figure of the Italian renaissance. 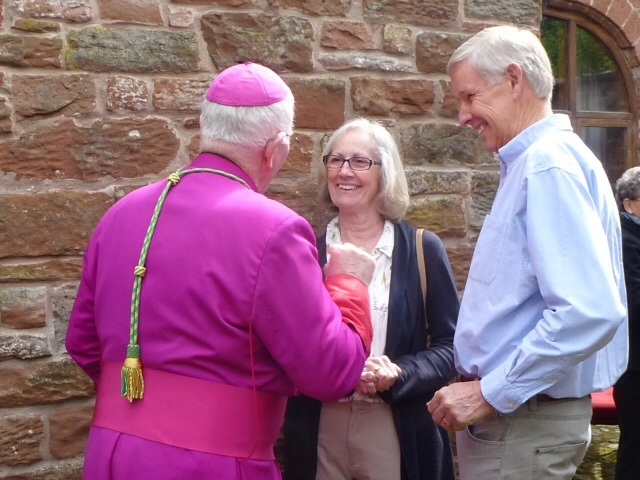 The occasion was an uplifting one for all who were present, and the prayerful good wishes of the Diocese of Lancaster are extended to Bishop Hudson as he takes his place among the Bishops of England and Wales. 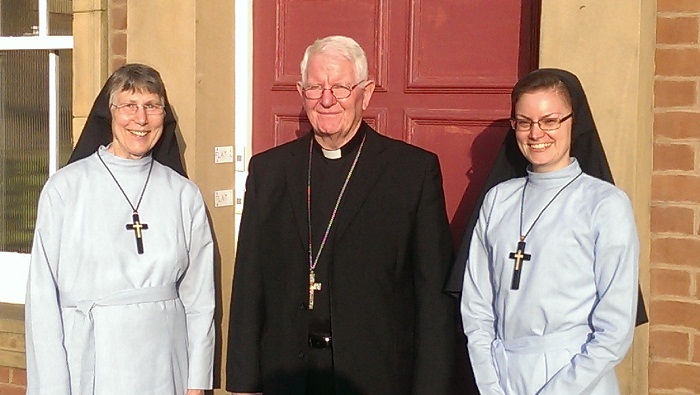 Finally, on a beautiful sunny Thursday evening I ‘popped in’ to the new fledgling foundation of the Religious Sisters of Mercy of Alma at St Augustine’s, Preston – for their Holy Hour and something to eat with the Sisters afterwards. 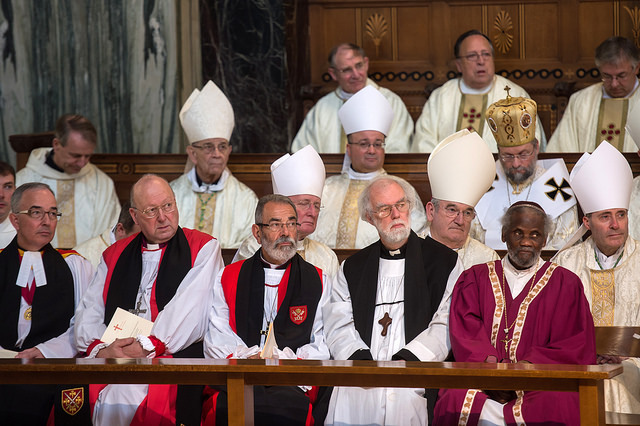 As you know, I am inviting several newer religious communities into the Diocese to assist practically in the mission of the Church here – using their gifts and energy for the good of our Local church. Please do offer us your prayers and support for this bold and exciting initiative.